Country living at it's best! 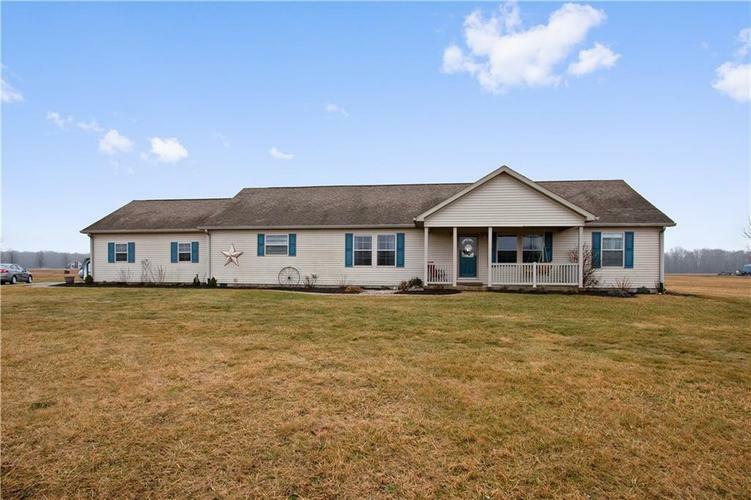 This immaculate, updated 3BR/2BA ranch home on nearly 6 serene acres will WOW you. Upon entering, you'll find a spacious Living Rm opening into Breakfast Rm, Kitchen, & Family Rm w/fireplace - perfect for entertaining. Lrg KIT feat beautiful cabinets, island, updated applcs, gas range, backsplash & pantry. Master Suite equipped w/tray ceiling, lrg walk-in closet, newly updated bath w/his & her vanities, new tile floors & gorgeous walk-in tile shower. Add'l feat incl newly painted thruout, beautiful wood lam floors, new AC, newer landscaping, & gravel drive. Offers best of outdoor living w/fire pit, larger fenced area, storage shed, massive deck overlooking all that nature provides - a tranquil & private setting.